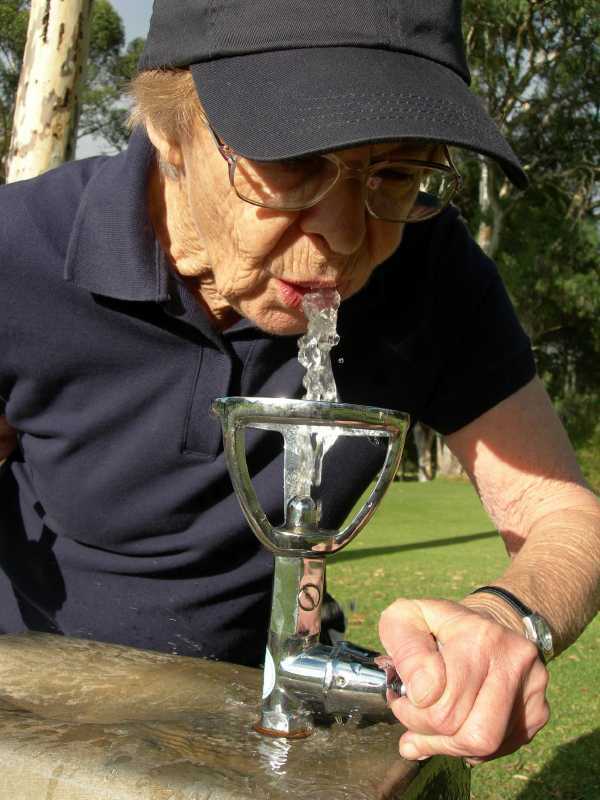 People age 65 or older are more prone to heat stress than younger people. They don’t adjust as well to sudden temperature changes and may have health conditions or take medications that change a body’s response to heat. Here are tips for preventing and recognizing heat-related illness in the elderly. This summer’s record high temperatures can be dangerous at any age, but people over the age of 65 should take special health precautions. Whether you’re a senior’s caregiver, relative, friend or neighbor, it’s important during extreme high temperatures to visit at least twice a day and watch for signs of heat stress. One of the most important things to remember is never leave an elderly person, child or pet in a car if you run into a store. The temperature inside a car can rise 19 degrees within 10 minutes and 29 degrees in 20 minutes. Do not leave a car running with air conditioning on, because passengers can be exposed to carbon monoxide. If an older person needs help getting in and out of vehicles, try a mobility product like the CarCaddie. Signs of heat exhaustion — which can occur after lengthy exposure to high temperatures combined with inadequate or unbalanced fluid replacement — include heavy sweating, paleness, cool and moist skin, fast and shallow breathing, fast and weak pulse, muscle cramps, headache, dizziness, nausea, vomiting, fatigue, weakness and fainting. If nutrition and hydration are problems, talk to your loved one’s doctor or dietitian about nutritionals, such as juices, shakes and powders. The most serious heat-related illness, heat stroke can occur when the body cannot control its temperature and may result in death or permanent disability if emergency treatment is not provided. Signs include a body temperature above 103 degrees F, red and hot skin that is not sweating, rapid and shallow breathing, a strong and rapid pulse, headache, dizziness and nausea. If you notice signs of severe heat stress, ask someone to call 911 while you begin cooling efforts. If emergency personnel are delayed, ask someone to call a hospital emergency room. Get the person to a shaded area and try to cool the body rapidly, using a tub of cool water, a shower, a garden hose or even a sponge. Continue these cooling efforts until body temperature drops to at least 101 degrees F.
If you have a loved one who lives alone, remember to equip the home with emergency monitoring tools, such as the new My Health Phone, which is like the Swiss Army knife of senior designed safety devices. This product can provide independence for your loved one and peace of mind for you.